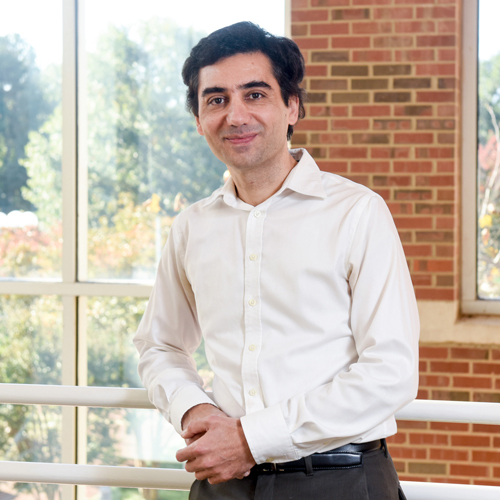 Daryoosh Vashaee is the director of the Nanoscience and Quantum Engineering Research Group (NQERG) at North Carolina State University (NCSU) and a member of ASSIST Engineering Research Center. He received his Ph.D. from University of California at Santa Cruz in 2004, worked at MIT as a postdoctoral scholar, at Oklahoma State University as an Assistant Professor, and joined North Carolina State University ECE department as Associate Professor in 2014. He became affiliated with the MSE department at NC State University in 2015. His research interests are on the theoretical and experimental investigation of properties of quantum materials, nanomaterials, and devices for energy and information technology applications. In the past, he has contributed to the development of several key thermoelectric structures including heterostructure thermionic devices and bulk nanocomposite materials. He has published over 200 Scholarly articles, received the NSF CAREER award in 2014, and is the winner of the 2004 Goldsmid Award for research excellence in thermoelectrics from the International Thermoelectric Society.